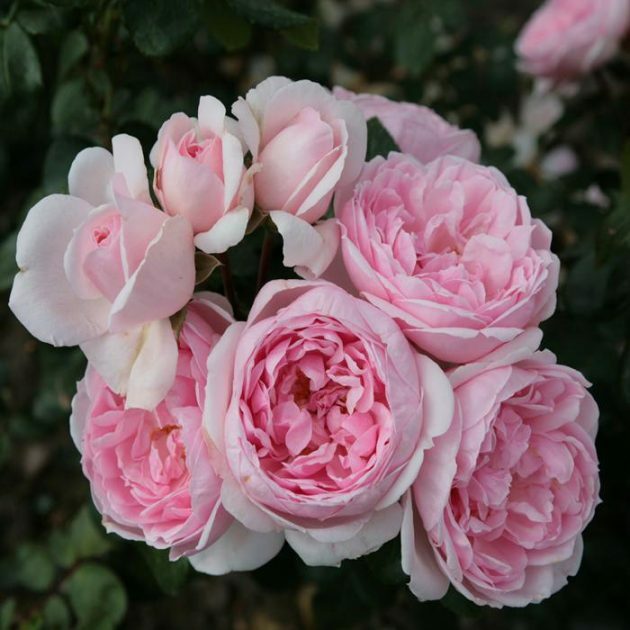 Kordes Floribunda rose Cinderella – Soft, delicate baby-pink roses are borne in clusters on a tall, arching shrub that was introduced first as a climber then as a large floribunda. 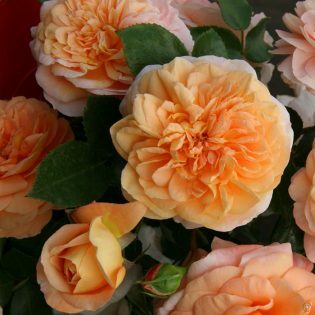 The large-cupped double flowers resemble old roses from a hundred years ago. The plant is vigorous with glossy dark foliage and a mild fresh apple. This variety has a high degree of disease resistance and excellent for hedges or mass plantings.